Yash Raj | Pilchner Schoustal International Inc. 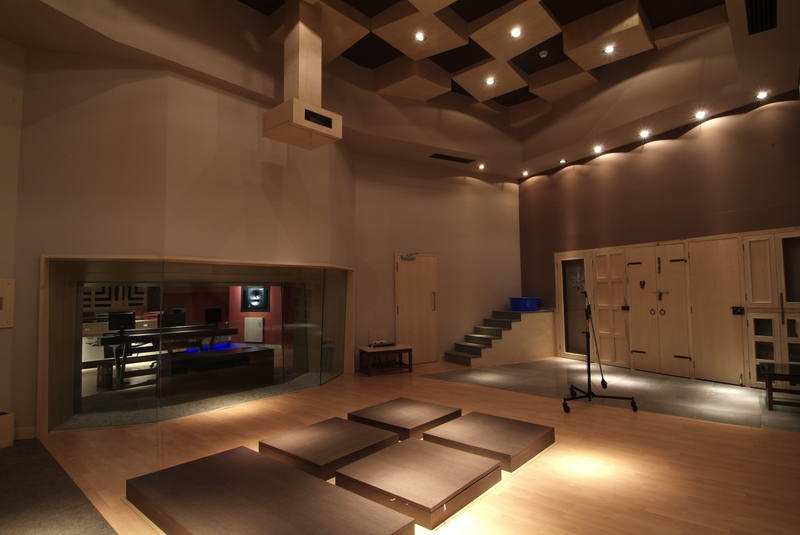 This project represents the largest development of studio facilities to be built in India in the last 25 years. 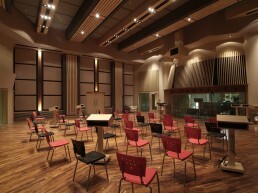 Pilchner Schoustal was chosen from among the top designers in the world to spearhead the development of a complex filled with world-class studios. 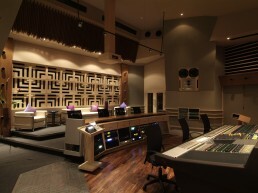 The main production building is a twelve storey building divided into six floors, each with thirty foot ceiling heights. 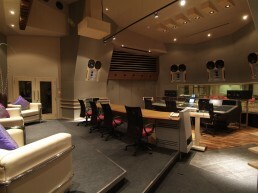 The main floor features an enormous music tracking and mixing room. 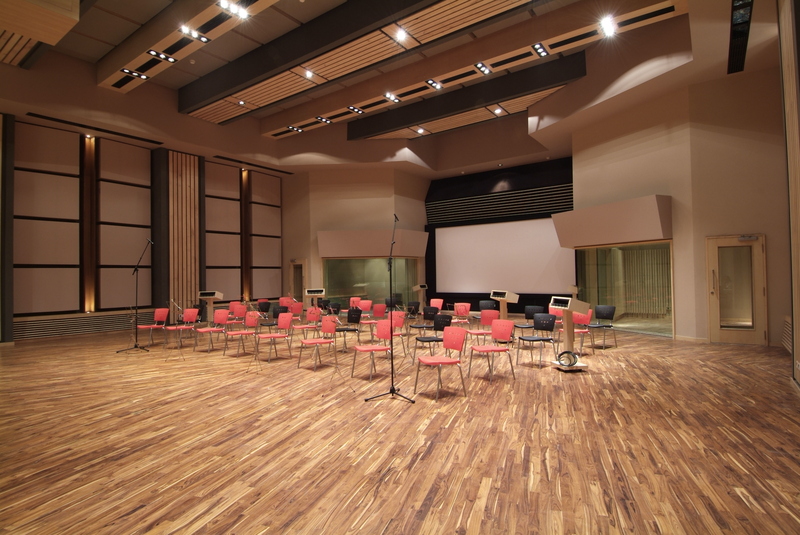 This studio is capable of scoring to picture with a full symphony orchestra. 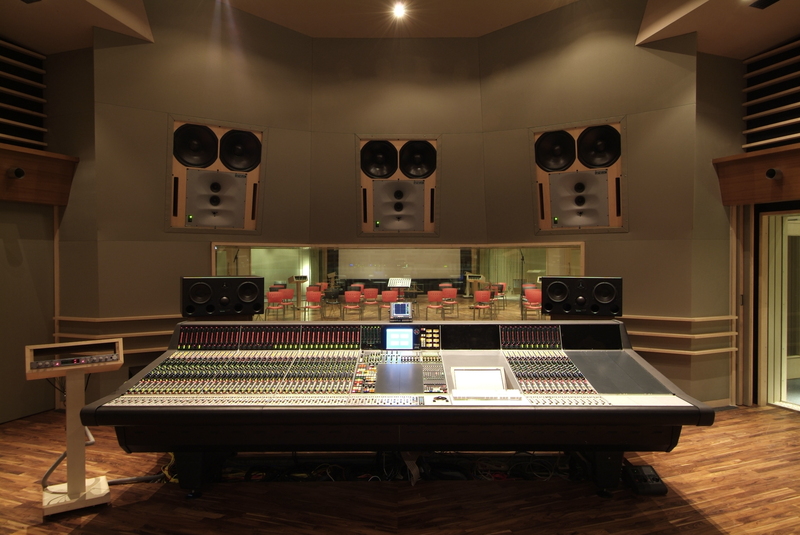 The control room for this studio features our proprietary controlled reflection design, with 5 soffit mounted Genelec 1036 monitors and a NEVE 88R music recording console. 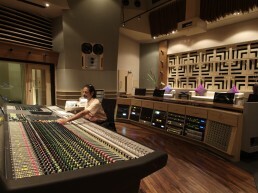 The system in the control room is capable of over 150 dB. 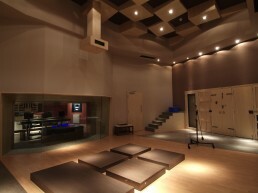 The studio has a large tracking floor flanked by four large isolation booth. Finishes include Teak and Wenga wood elements. 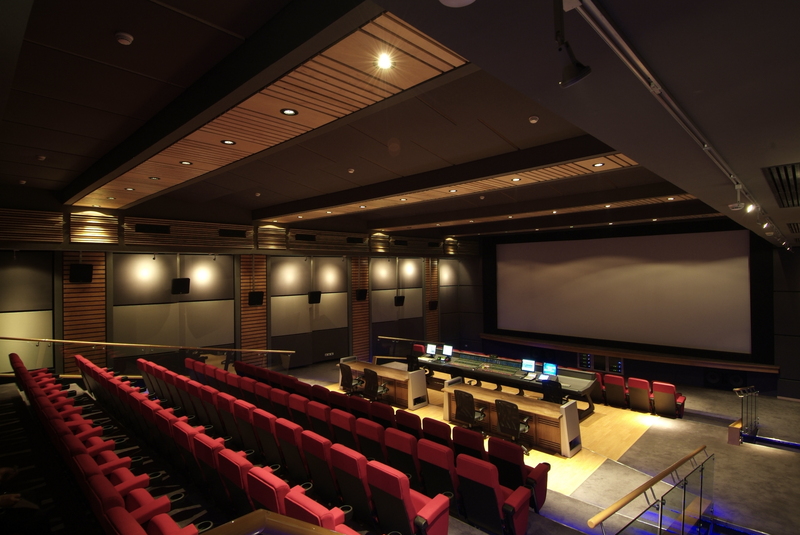 The next floor up features a large 150 seat film mixing stage. 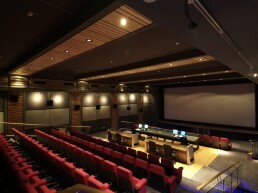 With film and video projection onto a screen over 35 feet wide. 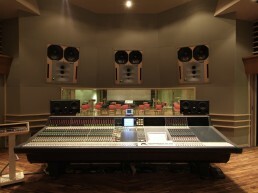 This room features a NEVE DFC II film mix console and a very large JBL cinema system. 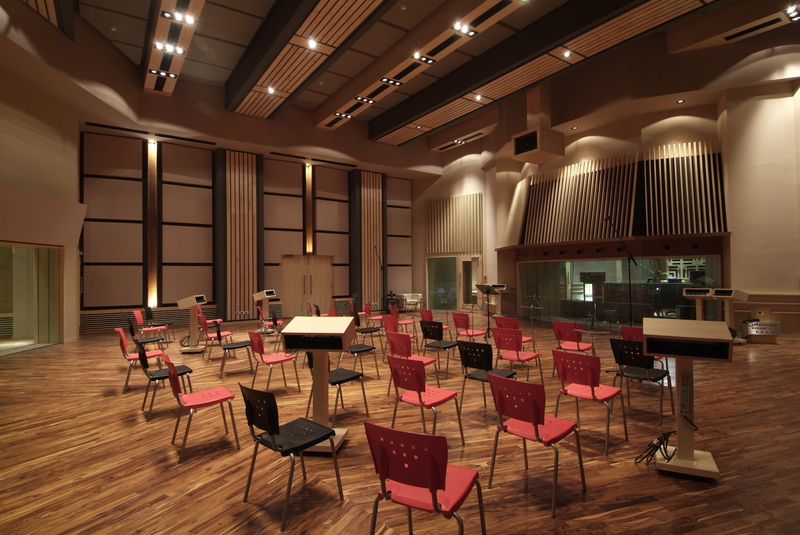 Modular acoustic elements provide bass trapping, specular absorption and diffusion in a balance spatial arrangement to maximize the sound performance and surround envelopment over the entire seating area. 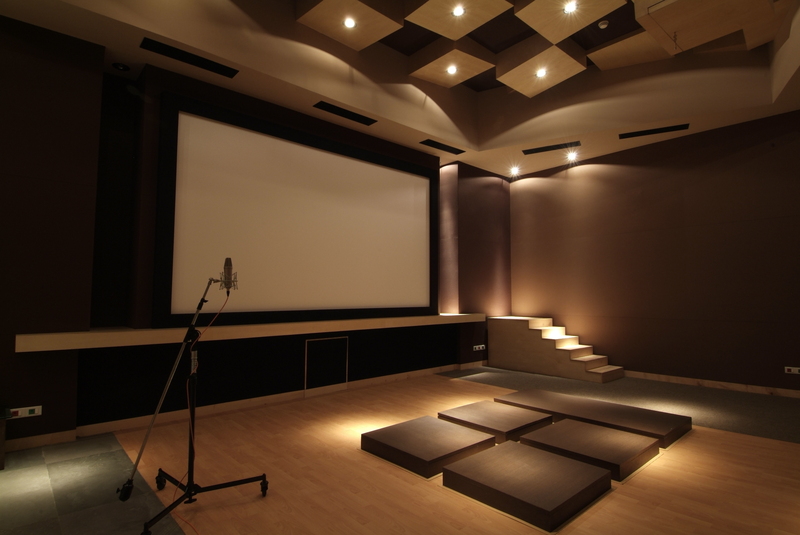 This is a Dolby certified film mix room in which all releases of Yash Raj films will be dubbed. 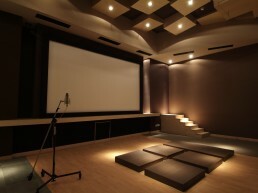 The rear of the theatre features a large projection/machine room, and a isolation booth with viewing angles to the screen to pick up any last minute ADR a film may require. 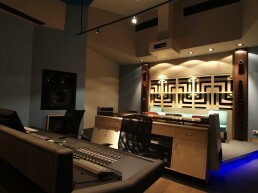 Below these areas are a film transfer bay and two avid edit suites. 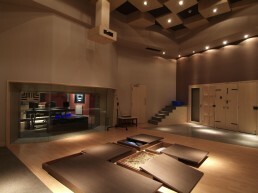 The floor above the film mix stage contains three studios. 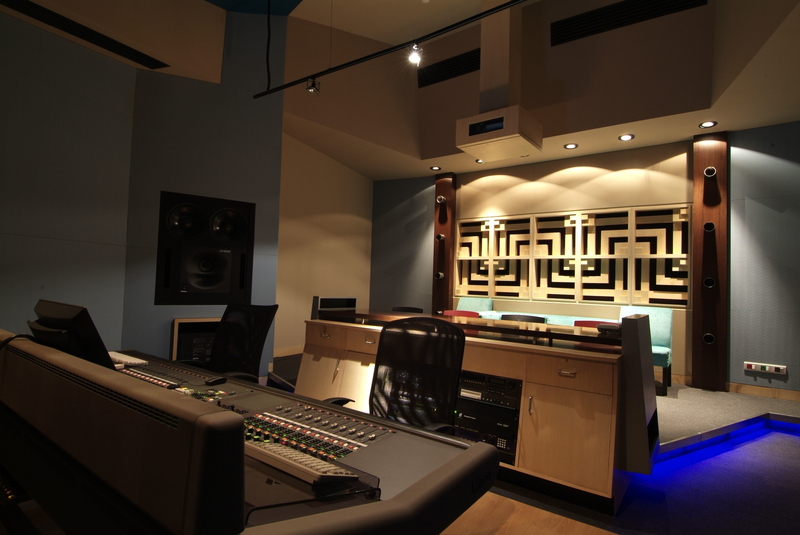 A full featured foley studio with a separate 5.1 control room, a full featured ADR studio with a separate 5.1 control room, and a full music studio with a separate 5.1 control room. 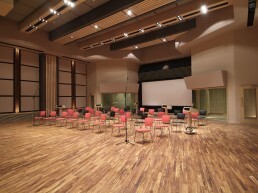 Each studio has a unique identity in terms of color choices, material palette and millwork details. 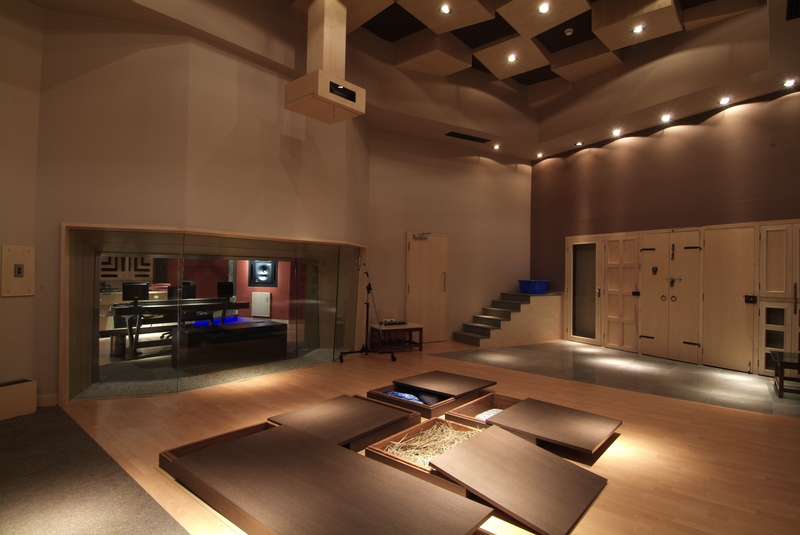 Extensive use of high end lighting imported from Germany was used to give each space a bold and dramatic presence. 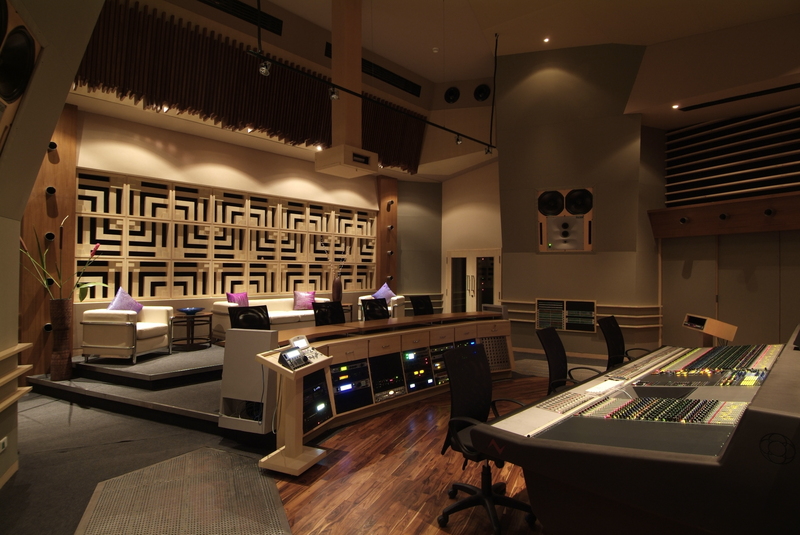 All of the studio spaces are feed isolated and UPS backed up power systems and are connected together with a common machine room. 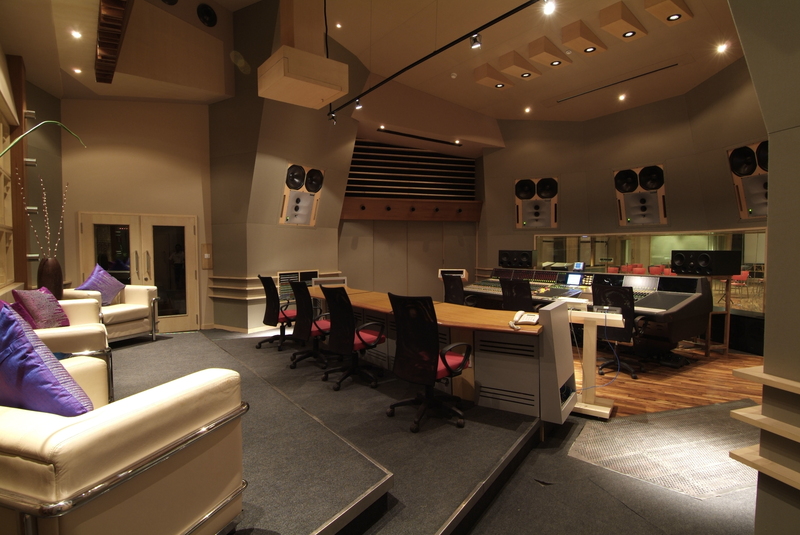 Large mechanical systems feed each studio separately with over sized acoustically and perforated stainless steel lined ductwork. 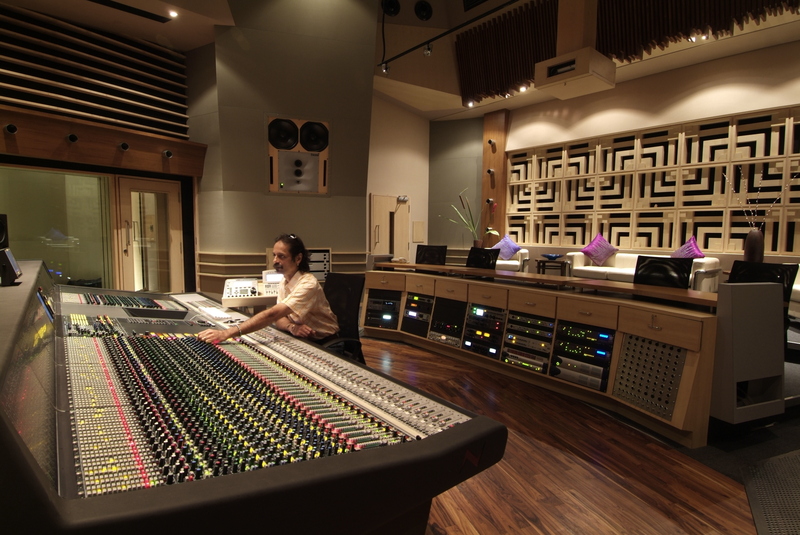 All studios are also built on 6″ thick raised slab concrete floating floors. All room framing was carried out with 14 gauge metal studs placed 1′-0″ on center, with all framing connections completely welded to control vibration.